In our Ladies Bible study yesterday, we were on Chapter 12 in How Many Lightbulbs Does It Take to Change a Person? with the subtitle: Bright Ideas for Delightful Transformation. 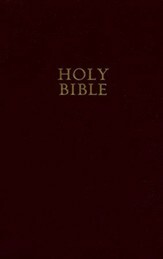 It’s written by Rhonda Rhea, published by New Hope Publishers, Birmingham, AL and copyrighted in 2011. The title of the Chapter is “Sometimes the Key to Change is…Change”. I almost anticipated her talking about pennies and dimes throughout the whole section, but I guessed wrong. One of her favorite things is chocolate and it made the pages once again. She mentions candy bars and the various sizes available nowadays, but she got to the point of the title. We can’t change unless we’re willing to change. We have to shift gears and think differently, she tells us at one spot. God helps us with that, if we’re willing. I love that Scripture. There are days when I need lots of hope, maybe more for others than myself, when I hear of losses and diseases from friends and on the news. Not that I don’t have stuff rear its ugly head, but I’m blessed with support from my family, our church, and friends. Scripture gives incredible comfort and prayer does, too. They didn’t. They kindly opened first one bottle of diluted oil mixture and then another, suggesting I give it a try. I did feel better, but I think it was more because the person listened to me and the stressing agent wasn’t nearby. The aromas probably helped some, but it wasn’t a scientifically proven result. Now I’m home, ready to continue my day. I haven’t written much lately because of housework and working on a story for children and babysitting grandchildren and practicing guitar for Sunday’s service with a pianist friend, etc., etc. For two weeks before this I drove north to babysit for four of my “grands” and scooted home for the weekends. At the end of the two weeks, I was worn out! An advantage of seeing my son-he takes the time to work on my computer, which keeps freezing up and gets in the way of my blogging. Another reason I love being with younger people is because by the time you reach grandparent age, you’ve seen a lot of disappointment and sorrow with the joys of life balancing things out. When I get overwhelmed with hard things, I hold onto Phil. 4:8, NKJV: Finally brethren, whatever things are true, whatever things are noble, whatever things are just, whatever things are pure, whatever things are lovely, whatever things are of a good report, if there is any virtue and if there is anything praiseworthy-meditate on these things. The Word of God is true and works. I also consider the physical aspect. Am I feeling tired or thirsty or am I trying to focus on more than one thing at a time? I take care of those things if it’s possible. Have you used a Scripture and seen God fulfill it? I would love to hear from you! Have you taken a vitamin B tablet to help when you’re in a stressful situation? Or exercised? What helps you? Done Preparing, Here We GO! Over a year ago, my husband and I attended a meeting with the pastor and his wife from a different denomination, and a couple whom had left our church many months before. After trying a couple of churches they found one that fit them and since they cared for us, they wanted to include us in a ministry opportunity. They knew our heart for the cause and the location of our church helped, too. So, in March we began learning the ways of Celebrate Recovery so we could present a program having found weaknesses in ourselves to work on. We are going through the twelve steps and leadership training, as well. Soon, we open our doors to the public with lots of prayer and Scripture under girding our efforts. Jesus said in Matthew 11:28-30 “Come unto Me, all ye that labor and are heavy laden, and I will give you rest. Take my yoke upon you, and learn of Me; for I am meek and lowly in heart; and ye shall find rest unto your souls. I know God has a heart for the hurting. So, I expect He’ll do a work in many hearts through the many volunteers. Today started out kind of weird for me. My mind began dealing with sad news I’ve heard lately, plus a miscommunication I had with an author at a writers’ conference years ago. I recently bought one of her books and it reminded me that we never got to talk after our first conversation. I wanted to clarify my reaction, but she stiffened up and ignored me. Her friend got her to soften her demeanor but all I asked for then was her autograph on a fiction book of hers. So, I read Psalm 27 on a paper on the side of my refrigerator this morning. I do not consider her my enemy, but rather a sister-in-Christ. I took comfort from the rest of the verses concerning God’s presence and His faithfulness and His protection when we find ourselves in a storm. Speaking of storms, I’ve been praying for Texas with their unprecedented amount of rain. We used to live near Houston many years ago. We made friends and enjoyed the optimism of the people in Texas. Our local Christian radio has played the song of a woman thanking Almighty God for the safety of her family. The car is flooded, the downstairs is under water, but they are high above the danger zone. If I’m good at all it’s because of Jesus. So, I know where my grandson gets his pondering from 24 hours after the fact. It’s partly from me. I rehashed yesterday’s blog on time spent with the grandchildren. In addition, on Sunday night my daughter worked on some paperwork she needed to finish up, so she asked if one of us would help get the kids ready for bed. Just before tucking them in for the night we turned to the Bible for a short story. The oldest boy asked if they could act out the one I chose. That kept me scrambling through the pages. I chose Jesus being led by the Spirit out to the wilderness. There’s lots of action in that but not so much as in David and the giant Goliath facing off in battle in 1 Samuel 17. I didn’t want to wake them up. Saying, “Who wants to be the devil?” with enthusiastic responses of “I will!” was a bit disconcerting for this Grandma. They really got into it, especially the second-born grandson. Montrose Christian Writers Conference in Montrose, PA does a dramatical event for participants that I entered in a couple of times. Every small group gets their own bit of Scripture to re-enact. I portrayed the person burying their talent into the ground so the Master wouldn’t lose his talent. When the “Master” called me a wicked servant and asked why I didn’t put the money into the bank at least, to earn interest it really hit home. That Scripture is found in Matthew 25: 1-30. When Jesus quoted at the end, ‘And cast the unprofitable servant into the outer darkness. There will be weeping and gnashing of teeth,’ I got a chill as my co-writers helped cast me away from the group. Anyway, the four children and I finished our acting out the Scriptures and then we prayed for a little bit. I love hearing little ones pray. Sometimes when I babysit at their home after getting them all ready for bed I’m absolutely exhausted and not that interested in the secular story and then the devotional time. I just want them to go to sleep. I’m glad my daughter did the child care for most of the day. I thoroughly enjoyed the wrap up at the end of their last day at our house. Where did that come from? I looked online, but there wasn’t a clear source. I’m assuming it’s from Scripture. Here’s an example: Matthew 19:13, (KJV): Then were there brought unto him little children, that he should put his hands on them, and pray: and the disciples rebuked them. Mat 19:14 But Jesus said, Suffer little children, and forbid them not, to come unto me: for of such is the kingdom of heaven. Mat 19:15 And he laid his hands on them, and departed thence. Another example is in Psalm 73:1 A Psalm of Asaph. (KJV): Truly God is good to Israel, even to such as are of a clean heart. Those that love Jerusalem will prosper. Mentioning heaven, it says in Rev_21:24, (KJV): “And the nations of them which are saved shall walk in the light of it: and the kings of the earth do bring their glory and honour into it. Rev_22:2 In the midst of the street of it, and on either side of the river, was there the tree of life, which bare twelve manner of fruits, and yielded her fruit every month: and the leaves of the tree were for the healing of the nations. I like to talk and I like to write. There are times when I don’t get to write and it’s like the times when I don’t get into the Scriptures, I get grumpy. God wired me to write, I suppose. I’ve been going through The Productive Writer to set up a notebook filled with categories. I read the book through a while ago and began reading it again to underscore in red the highlighted sections that really stood out- a tip I read from one of James Scott Bell’s books on the craft of writing. 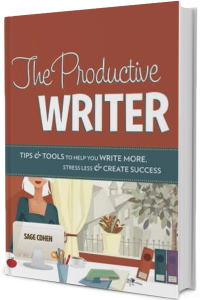 Sage Cohen wrote the book, The Productive Writer and copyrighted it in 2010. Writer’s Digest Books, Cincinnati, OH published it. I’ve heard that said before, “just 15 minutes a day…” at writers’ conferences. I need to go back to her Chapter 13 so I can understand the balance between social media and writing time. It almost looks unread. By the way, I recommend her book. My husband and I met with some friends tonight and one of the people wanted us to read Scriptures tonight to encourage us. She didn’t want to be reminded of all the sad things happening or even to think of politics and platforms. Knowing her, she’s prayed about all these things, she will cast her vote in November, and she will stay aware of current events. But for tonight, she wanted to hear others read aloud Scriptures reminding everyone that God loves us, He does things well, and He is in control. She understands we’re to revere God and she stands in awe of Him. But tonight, she wanted words of comfort and for her husband and friends to leave lifted up in spirit – feeling God’s compassion for us when things feel difficult, almost impossible. Psalm 46:1,10,11 – Psa 46:1 To the choirmaster. Of the Sons of Korah. According to Alamoth. A Song. God is our refuge and strength, a very present help in trouble. “Be still, and know that I am God. I will be exalted among the nations, I will be exalted in the earth!” The LORD of hosts is with us; the God of Jacob is our fortress. Selah. Zep 3:14 Sing aloud, O daughter of Zion; shout, O Israel! Rejoice and exult with all your heart, O daughter of Jerusalem! Zep 3:15 The LORD has taken away the judgments against you; he has cleared away your enemies. The King of Israel, the LORD, is in your midst; you shall never again fear evil. Zep 3:16 On that day it shall be said to Jerusalem: “Fear not, O Zion; let not your hands grow weak. Zep 3:17 The LORD your God is in your midst, a mighty one who will save; he will rejoice over you with gladness; he will quiet you by his love; he will exult over you with loud singing. Zec 9:9 Rejoice greatly, O daughter of Zion! Shout aloud, O daughter of Jerusalem! Behold, your king is coming to you; righteous and having salvation is he, humble and mounted on a donkey, on a colt, the foal of a donkey. Eph 1:2 Grace to you and peace from God our Father and the Lord Jesus Christ. Eph 1:6 to the praise of his glorious grace, with which he has blessed us in the Beloved. Psa 100:1 A Psalm for giving thanks. Make a joyful noise to the LORD, all the earth! Psa 100:2 Serve the LORD with gladness! Come into his presence with singing! Psa 100:3 Know that the LORD, he is God! It is he who made us, and we are his; we are his people, and the sheep of his pasture. Psa 100:4 Enter his gates with thanksgiving, and his courts with praise! Give thanks to him; bless his name! Psa 100:5 For the LORD is good; his steadfast love endures forever, and his faithfulness to all generations. Psa 119:1 Blessed are those whose way is blameless, who walk in the law of the LORD! Psa 119:3 who also do no wrong, but walk in his ways! Psa 119:4 You have commanded your precepts to be kept diligently. Psa 119:5 Oh that my ways may be steadfast in keeping your statutes! Psa 119:6 Then I shall not be put to shame, having my eyes fixed on all your commandments. Psa 119:7 I will praise you with an upright heart, when I learn your righteous rules. My daughter called me today to say that my son has good news. I don’t know about you, but I like hearing good news! Our ladies’ Bible study has been praying for my son and my daughter to get full time jobs. They’ve both been working part time trying to make ends meet. She started a job lately and he just found out he’s been hired. Oh, how wonderful to hear that they got jobs. Our church has a healing ministry service once a month and this past time, a man stood up to say that two pastors at our church prayed for his diabetes to heal. His toe was killing him. I remember thinking at the time, why doesn’t he ask for his foot to heal up? He’s been losing weight and the diabetes didn’t change. So when he got up to the microphone, I wondered what he had to say. I’d forgotten he’d gone forward for prayer. His diabetes began healing up after the service. His doctor keeps lowering his insulin and whatever medicines he’s on because his blood sugar is getting too low. It keeps getting better and better. I love hearing that. Psalm 34 is one of my favorite Scriptures. My mother-in-law’s favorite Scripture was Psalm 91, she told me once. I hope this finds you well. If not, I hope you’ll search God’s word to see what His opinion is on your circumstance. Maybe there’s a Scripture you can pray that covers exactly what you’re dealing with. God doesn’t always answer prayers the way I want Him to, but when He doesn’t it’s because there is a good reason. Sometimes in my life, I’ve thanked Him for not answering my prayer, because later I realized I’d have been in a big mess if things had gone my way. In case you haven’t noticed, I love serving a God Who has my back. I’ve been under the weather lately and food has lost it’s appeal. Two days ago, my appetite resurfaced. So I’ve been gradually introducing more items. My son is here from Buffalo and I was telling him that lately I feel drawn to read everything but the Bible. When I use discipline to get into the Bible, even a few sentences tastes like sweet nectar. When I made my salad today, it was pre-packaged and pre-washed into bite sized pieces. A gift from a friend. There were ready to eat baby carrots and tiny tomatoes that only needed to be rinsed off. All I needed to add was salad dressing to satisfy my taste buds. Mmm good. I ate a delicious ziti after the salad in a moderate amount because I was testing my abilities with food. Moments later, I decided to have more ziti because it tasted so good. I asked God what He thought. I got the idea not to eat anymore of the Italian style meal. Proverbs 25:16 (KJV) Hast thou found honey? eat so much as is sufficient for thee, lest thou be filled therewith, and vomit it. If I’d overeaten, I would have slown down my recovery. When I read too many books on writing or read fiction and magazines and watch YouTube with my son and then talk on the phone, being alone with God and learning from His word can lose its attraction. In these end times, what a dangerous place to be. I thank God for all His blessings, but I need Him to keep me on track with our relationship. I make sure I talk to my husband every day and we date regularly when we can, even if we don’t have a dime to spare. A good friend once purchased sparkling grape juice, some easy to make picnic items, and arranged for free or inexpensive babysitting. She kidnapped her husband and they went to a park for a date. They’ve been married over forty years. I try to eat healthy and I fail to manage it perfectly, but Jesus reminded us in the Scripture when He debated with the devil in the wilderness a priority in life. In Mat_4:3 (KJV): And when the tempter came to him, he said, If thou be the Son of God, command that these stones be made bread. God’s word is more important than our daily bread.